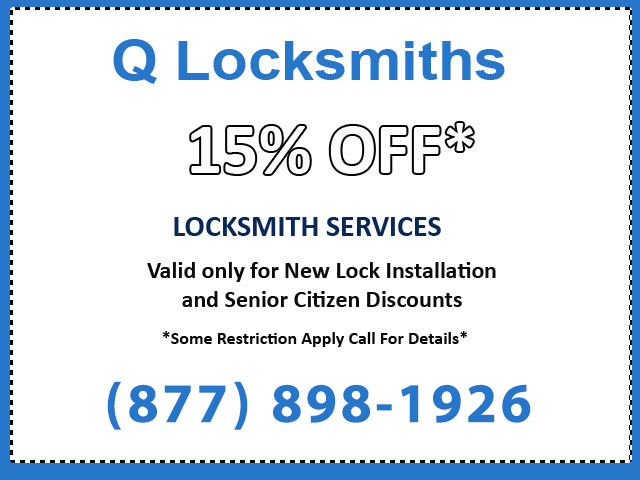 Q Locksmiths provides top quality professional 24 Hour Emergency Lockout Services for your Home, Car & Office. Q Locksmiths technicians have the expertise and know how to get the job done right, the first time. All locksmith work is guranteed 100%. Residential Locksmith Services include lost house keys, deadbolt installtion, lock repair, master key systens, broken key removal and duplicate keys made. Commercial Locksmith Services include lost office keys, commercial grade lock repair, safe opening, broken office key removal and more. only wish I had more locks for the guy! ?